How Are St. Louis Car Accidents In Company Cars Legally Different? You are here: Home / Car Accident / How Are St. Louis Car Accidents In Company Cars Legally Different? If involved in a car accident while driving a company car, you need to know whether you or your employer is liable. There are some additional perks that employees enjoy, like being issued a company car for transportation. Many companies provide not just the car, but also cover the cost of gas. What can be a perk to employees, however, can end in disaster if you aren’t sure about your liability or coverage when you are behind the wheel of a company owned car. If you are in an accident, you need to know whether it is the employer’s liability that will cover you or your own insurance. To protect yourself, it is best to have a St. Louis car accident attorney look over the specifics. The main decision as to who is at liable is what you were doing in the car when you were in the accident. To determine who is liable, you have to establish the scope of employment duties at the time of the accident. The theory of vicarious employer liability is the main decision factor used. Knowing the rules and exceptions can save you big time if you are ever in an accident regardless if it is a major car collision or just a fender bender. If you are driving in a company car, then most likely you are covered by the employer if something should happen. Vicarious liability maintains that the employer is liable for any negligent acts of their employees while they are performing work duties. For instance, if you are driving a delivery truck and transporting things for work and hit another car, then your employer would be liable for the accident. If you are driving a truck for an employer and do something illegal, like committing a crime, then the employer will probably not be liable. To be within the scope of employment, the employee must have specific authorization to be acting for the employer. The insurance coverage afforded also depends on your employer’s specific coverage. That is why it is important to understand what your liability coverage is when driving in a company car by having a St. Louis auto accident lawyer look over the legalities related to the company car. There are times when a company car is used to entertain clients during off hours. The employee might be acting under the scope of work, but if they decide to do something illegal, like drink and drive, and are convicted, then the employer would no longer be liable. An employer is not responsible for an employee who is engaging in a criminal act and hurts or damages someone or something. Once more, if you are injured and committing a crime, then you will likely not be covered through workers compensation either. If you should be accused of a DUI in a company car, it is imperative that you consult a St. Louis auto accident attorney immediately. Most people make an assumption that if they are driving in a company car, then the employer is liable, period. 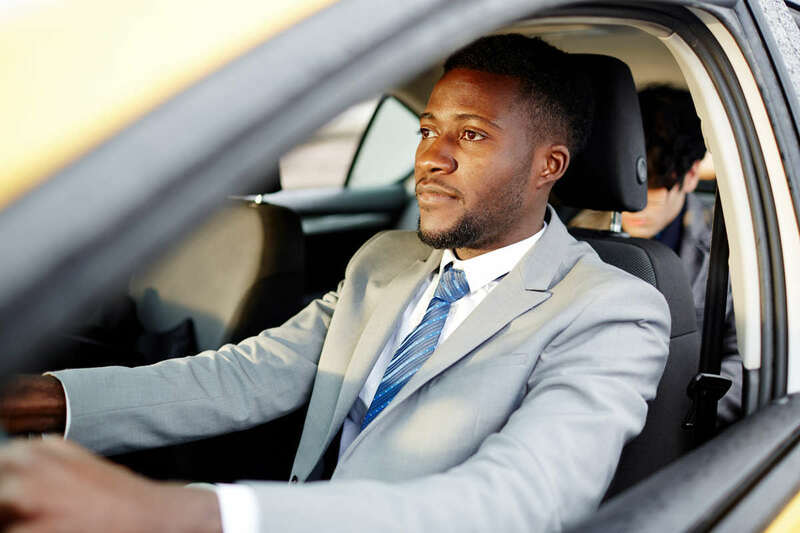 If you decide to take the car to run an errand, whether it is during company hours or not, and get into an accident, the employer can deny coverage. Unless you are operating under the scope of work and authorized to be using the company car for company purposes, then your insurance will likely be targeted if you get into an accident. Company cars are an excellent perk as long as you understand when you are liable and when you aren’t. Consulting a St. Louis car accident lawyer when issued a company car is an excellent way to protect yourself. If you were injured in a St. Louis car accident, you can call our office at (314) 361-4242. We offer a free initial consultation with a lawyer in all personal injury cases, and you never pay attorney fees unless we recover compensation for you.